In addition to all the necessary precautions when traveling with children, the document is of particular importance, especially since in June 2012, the obligation of the INDIVIDUAL personal document for the minor was introduced. It is important to underline that the DOCUMENT (be it an ID card or a passport) should always be taken with you, even if you travel by car, and not just for air travel. To make the ID card to your child, you need to go to a municipal office, or circumscription, of the municipality where the minor is a resident. You need to get 3 photo-card of the child (on a white background) and, above all, the presence of BOTH PARENTS is mandatory (ask at the door of your town in case one of the two can not go). The card costs around € 5 and is released immediately. There are two different types, issued in order to guarantee individuality by updating photography and identifying the minor at border controls. • Minor from 3 to 18 years: five-year validity. 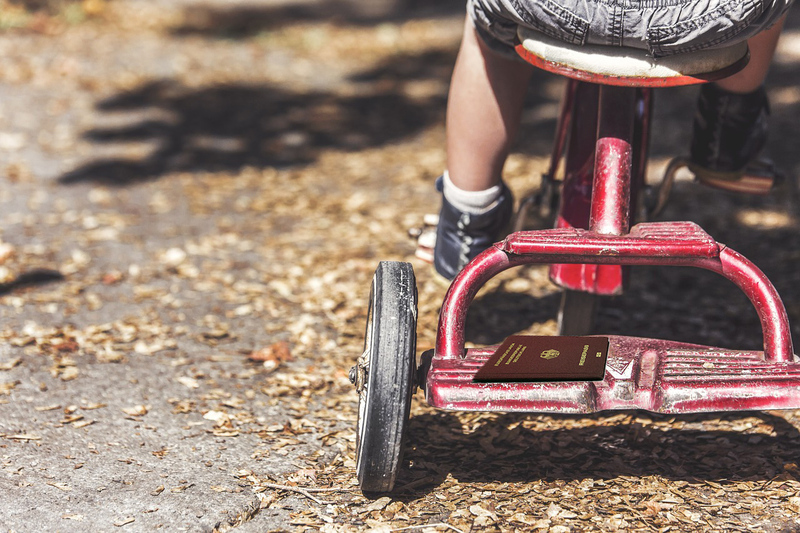 The Passport for Minor is a personal and individual document that allows you to move abroad in any country, including those in which the CI is sufficient. On the official website of the State Police, the excellent service is available. Agenda Passport to request online at this link booking the time, date and place to submit the application by eliminating the long waits in the police offices. To obtain a passport, one of the parents must register on the site with their data, and then must indicate all the details of the minor (application for the passport and postal order). VALIDITY AND RELEASE As in the case of CI, there are also two different types, released in order to guarantee individuality by updating photography and identifying the minor at border controls. For all the documentation and other info, refer to the site of the State Police. Until the completion of the 14 years, Italian minors can leave the country only if they are accompanied by at least one parent or by their guardians (ex: guardian, parental authority) whose name must be reported on the minor's document. If the name of the parent is not shown on the child's passport, at the time of expatriation the same parent must be able to demonstrate the relationship of kinship through, for example, the exhibition of the family status or the child's birth certificate. This is a particular authorization granted to a natural person or to a transport company (eg airline or shipping company), parents or guardianships of children under the age of 14 who travel unaccompanied by at least one of them. The Declaration of Accompaniment (for children under the age of 14 - article 14 reads 1185 / 1967) can be issued either as paper or in the form of a mention directly on the child's passport. Always on the official link of the state police all information can be found.